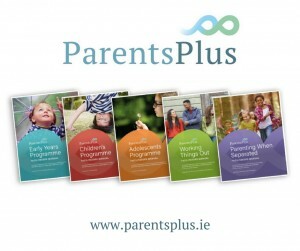 Introduction to Parents Plus – Dublin 13/09/18 – Parents Plus! This seminar is suitable for both practitioners and service managers who want to gain an understanding of the five Parents Plus programmes and how they can best be implemented within individual services. Samples of each programme will be presented as well as the evidence base along with a number of implementation strategies for getting the programmes off the ground both within individual services and larger organisations. The session is free but has a limited number of places. To book a place, please add attendees and their details below. Note when booking, click the invoice option on payment and you will not be charged. The Parents Plus Programmes are evidence-based parenting courses designed to support and empower parents to manage and solve discipline problems, to create satisfying and enjoyable family relationships and to help children and young people grow up and reach their full potential. The original Parents Plus Programme was developed in 1998 and since then five flagship programmes have been developed targeting different age groups and contexts. The Adolescent’s Programme for parents of adolescents aged 11 to 16. The Parenting when Separated Programme targeted at parents who are preparing for, going through or have gone through a separation and divorce. All Parents Plus programmes are evidence-based approaches and currently nineteen studies attest to their effectiveness in clinical and specialist settings. They are delivered as structured courses with small groups of parents, children and adolescents utilising DVD input, handouts, group exercises and homework and are delivered within a solution-focused collaborative facilitation model. The Parents Plus charity has an established ‘train the trainer’ process to empower professionals and community leaders to deliver the programmes in their agencies and local areas.